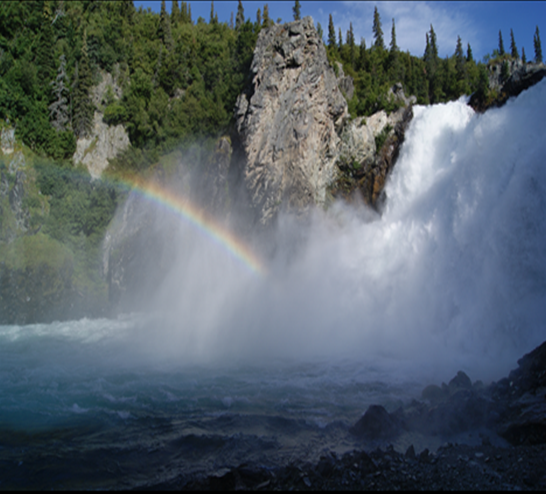 Alaska has a long history with hydroelectric power. The state had over 30 developed water power sites by 1908. Today, hydroelectric power consists of 22% of the state’s produced electricity. Although water power does have its disadvantages, one plant has really turned its past misfortunes around. The Iliamna Newhalen Nondalton Electric cooperative is located on the north shores of Iliamna Lake. In 1998, the cooperative built the Tazimina River Hydroelectric Power Plant. The planning for Tazimina was years in the making. When INNEC was finally given permission to build the power plant, there was the issue of money. $5 million came from State of Alaska grants, $3.5 million in federal funds and $3.5 million was borrowed by INNEC-- bringing the power plant in $5.5 million over the original projected budget. The community around the Tazimina power plant is still working to pay off the money borrowed to create the plant. There is still about $2.7 million left to pay and it’s split among 300 people-- adding 5 to 10 cents to each bill. Because Tazimina is so efficient and produces excess power, the state doesn’t provide as much funding from the power cost equalization program. When the plant was first built, it only produced 50 percent of the power requirements of the surrounding villages. However, in 2009 George Hornberger became the General Manager of INNEC. Hornberger says when he came to the position of general manager, he led an overhaul on the plant. The plant now produces enough power that INNEC diverts the excess to two schools in the region to cover their heating costs-- it’s far cheaper at 12 cents per kilowatt hour. Hornberger says the schools only get their heat from INNEC when there is an excess at the plant. If there isn’t any excess, the school reverts to its normal heating fuel. In 2010, the state of Alaska used 1.7 million barrels of diesel, 40 billion cubic feet of natural gas and 410 thousand tons of coal to produce electricity. All of these produce carbon emissions and cost a lot of money to obtain. Hornberger says he thinks hydro power plants are a great way to produce energy. Hornberger says he’s working on an upgrade for the current plant. Earlier this summer, the power plant was awarded money from the Renewable Energy Fund Round 6 for a feasibility study to upgrade the capacity to 1.4 megawatts. The Tazimina hydroelectric power plant is a run-of-the-river plant, meaning it doesn’t use a damn for water storage. Currently it provides almost 99% of the electricity in the three surrounding villages.